How making the right call can keep you in the game. Everyone knows about budgets, but few use them as they should. Budgeting is one of those core business practices that every well-run business uses. It’s the fundamental management tool that not only keeps you and your people on course, but provides the radar to tell you when you’re off course and how far off course you are. One huge benefit (if you sent them up right) is they’re operationally oriented to help you and your people manage their part of the business on a daily basis. A budget is a combination of past historical trends and future predictions. It is essentially the forecast of future income statements. It keeps you current with what’s REALLY going on. It enables you and your people to undertake a coordinated, comprehensive effort to achieve your near term objectives. The best thing about budgeting is its flexibility. As long as you use it to plan and control your revenues and expenses, you can use almost any format that works for you. You can have a budget for your entire business, specific profit centers or departments, or any other part of your business. Whether you’re a beginner of a veteran at budgeting, it pays to revisit the basics. Let’s start by putting it all in perspective. Set up Budget. First you set up your budgeting process – Decide on the budget schedule, the layout and formatting of the budget itself, who will be accountable for generating the numbers and producing budget documents, and how the review process will work. If your business is larger and more complex you might want to produce departmental budgets as well as a company-wide budget. Plan and Forecast. Next you move into the budgeting cycle by doing the planning and forecasting that will shape your business in the months to come. Translate your plans into the budget numbers against which you will track your progress. You should do formal planning, forecasting and budgeting periodically – usually quarterly or annually. But your budget will lose touch with reality unless you continuously fine tune and adjust is as part of your monthly ongoing review. Monitor and Report. Use your accounting system to gather and organize your actual results, and create monthly “budget Variance” reports that point out where actual results from your plan and how much they differ. Review and Manage. Study your budget and variance reports for clues on how much to improve your business, spot problems before they become serious, and generally “keep touch” with the pulse of your business. Use the opportunity to review and confirm your budget assumptions and revise them, as necessary. If you’re on a monthly review cycle (monthly works best for most businesses), review your budget and variance report with your key people, make management decisions, and initiate the implementation of your decisions. Budgets are not just for management. Making everyone aware of the future they are accountable for creating enables them to work more efficiently toward that future. It keeps people involved. It helps them see the big picture and their contributions to the company’s strategic objective. Effective budgeting are two-way streets but remember your business is not a democracy. Your people don’t vote on the budget. They provide their best effort to plan responsibly, they contribute their best thinking and advice, and they commit to responsible budget expectations, but the final budgeting responsibility rest with the owner. Format – There are two formats to consider; the budget itself and the monthly budget variance report that’s used to review actual performance in comparison with the budget. In both cases the line items included should mirror those on your income statement. Planning Cycle. The frequency with which you update your plans and forecasts. Review Cycle. The frequency of your budget reviews. Rolling Budgets. A form of “perpetual” budget that extends a year into the future. Forecasting – The heart of budgeting is making reliable forecasts of revenues and expenses. Forecasting starts with a clear idea of what profit you intend to generate. Then starting with revenues, you forecast your budget, planning each line item separately, keeping your profit objective in mind. You may have to go through several iterations before arriving at a realistic budget. The best forecasts are a two-step process: First, project past trends into the future. Then, make predictions, based on your knowledge of your business, your target markets, and the likely course of events. Use those predictions to modify your projections. Budget variance reports are key to understanding your business performance and its progress toward your strategic objective. They are also prime sources of clues to problems in the making and opportunities ready to be seized. Budgeting is where planning and implementation meet. Managing to your budget is translating information into action. 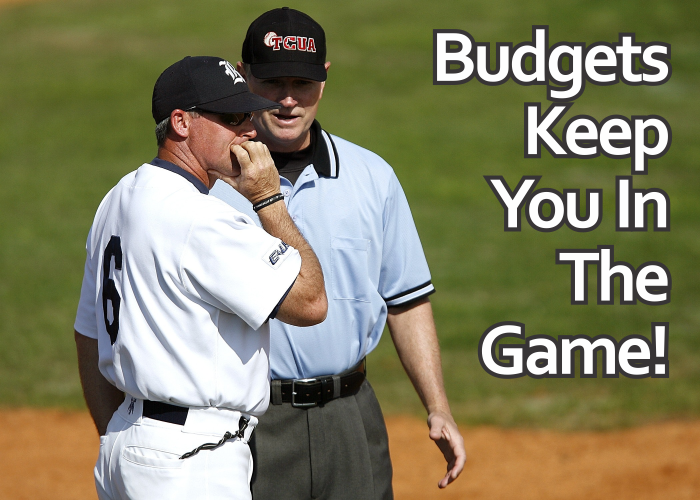 Your budget tells you what you need to accomplish. Your variance reports tell you what you’re actually accomplishing. Your budget review process gives you the specific direction you need to focus your attention where it will do the most good, where it will get the best results for your business. You’ll see problems long before they become serious, and opportunities will become visible at an early stage when you can maximize their benefit to you. And, no small thing, you’ll have a firm sense of control.